West Coast Environmental Law harnesses the power of law to solve complex environmental challenges. 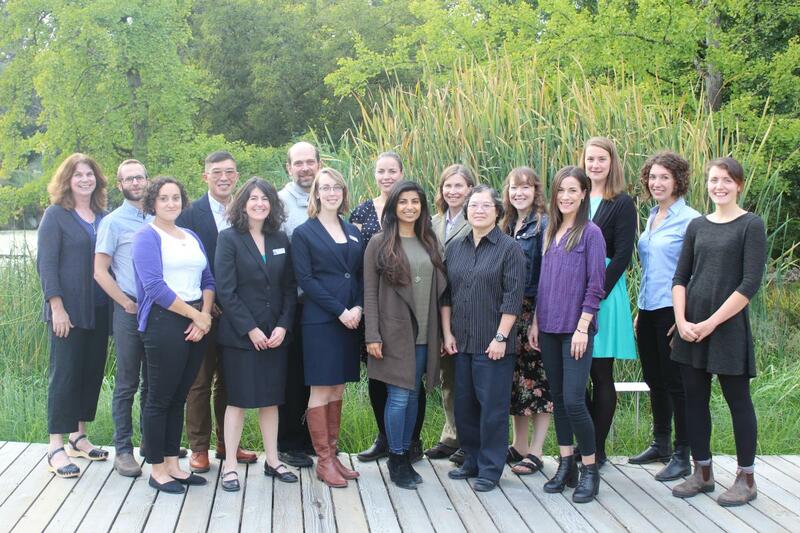 We are transforming environmental decision-making and strengthening legal protection for the environment through collaborative legal strategies that bridge Indigenous and Canadian law. By putting the law in the hands of communities and creating legal risk for those who would harm our land, air and water, we are building the collective power to achieve a more just and sustainable future for all. Since 1974, West Coast has successfully worked with communities, non-governmental organizations, the private sector and all levels of government, including First Nations governments, to develop proactive legal solutions to protect and sustain the environment. Learn about the three sister organizations that make up West Coast. For over forty years, we have been actively promoting progressive environmental law reform in BC and across Canada, helping to establish and shape many of our most significant environmental law initiatives. We work closely with our colleagues in other environmental organizations, often playing a leading role in collective efforts to achieve environmental goals. West Coast has a unique approach that uses hard-hitting and in-depth legal research and analysis to engage citizens, catalyze coalitions, mobilize allies, and influence decision-makers to implement environmental law reform. We work with all levels of government – federal, provincial, local and Indigenous – to develop strong laws that safeguard lands, waters, communities and the climate. West Coast has a long history of working alongside First Nations, providing legal and strategic support to confront environmental challenges. Today – through our RELAW Project – we support Indigenous nations in articulating, revitalizing and applying their laws to protect land, air and water. We are also playing a leadership role in developing models for co-governance in BC and Canada, and in establishing federal and provincial environmental laws that advance reconciliation. West Coast works hard to ensure that British Columbians have access to the legal tools they need to defend the environment. We offer free legal advice and support to groups and individuals who are facing environmental problems, working with a diverse range of partners to develop winning strategies to protect land, air, water and the climate. West Coast’s lawyers have been at the forefront in establishing many important environmental laws and regulations – both in BC and across the country. From helping to shape the original Canadian Environmental Assessment Act to closing loopholes in the Kyoto Protocol, to drafting forest certification standards for the BC Forest Stewardship Council, West Coast has played a key role in developing strong laws to protect the environment and improve sustainability. Our lawyers are known for their rigorous, thorough legal analysis, and our opinions are sought and trusted by colleagues, citizens, industry and government.